Free USB Wireless adapter or upgrade to a Edimax WiFi Router for only $19.99! Using the router allows you to use the app with your tablet and player. This also allows your tablet to go online if your router has internet access. Make your selection with the options above. 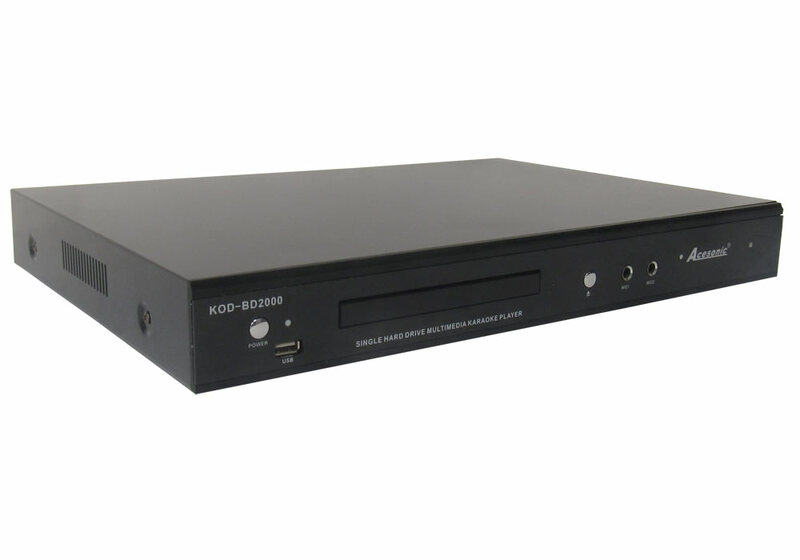 The Acesonic KOD-2000 Single Hard Drive Multimedia Karaoke Player is the latest edition of Acesonic's ultimate machine. Plenty of useful features, technology and ease of use have been combined to create the KOD-2000. Content from both Blu-Ray discs & the built-in hard drive can be accessed with this machine. This gives you the flexibility to play discs on the fly if you haven't loaded the content into your hard drive yet. DVD movies can be upscaled and viewed through the HDMI port on to your flat screen TV. Go through family photos, videos or listen to music through the Media Center that's built-in. Additionally, your iPad or Android tablets can be used as a controller to access features such as the song search function. Furthermore, you can capture your CD+G, VCD or DVD tracks directly from the disc tray and into the internal hard drive. You can pull up your media instantly for true jukebox performance. 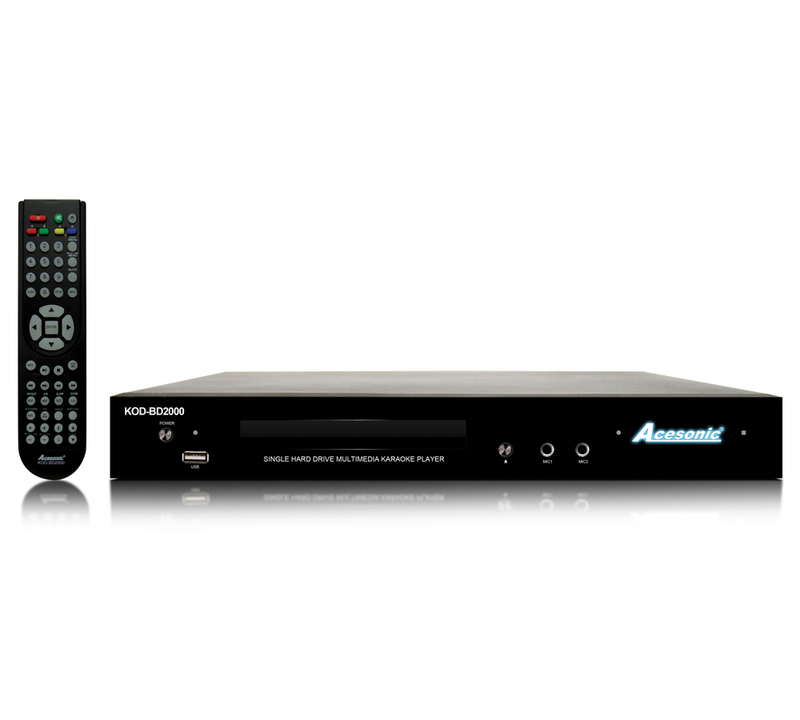 Blu-ray� Disc playback delivers exceptional full HD 1080p video resolution. 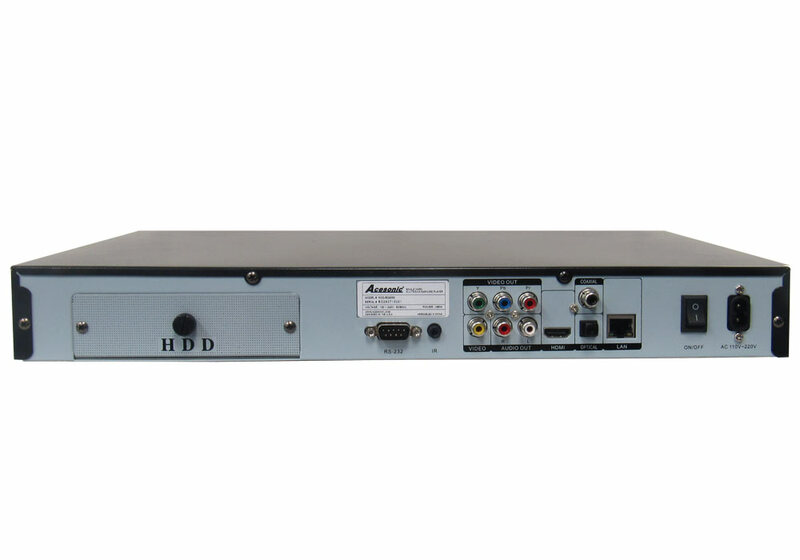 Upscaling delivers exceptional image quality from standard DVDs with up to 1080p via HDMI output. Multi-format feature supports all types of karaoke and video formats CD+G, MP3G, MP3, MKV, MPEG1/2/4, WMV, RMVB, AVI and more! Use your tablet or smartphone as a fully functional remote control or to browse and search through available songs when you download the free app! Read more and see a video about the Acesonic KOD-4000. Please note each KOD-2000 is customized when ordered and cannot be returned or refunded once shipped. I loaded up my music library onto this player and have been having many fun karaoke nights. Some songs files in my library weren't compatible but thats ok.
ProsCompatible with many file types so I was easily able to convert any of my old songs to work with this player. Converted to H.264 files to be more specific but not too much hassle with all the free programs out there. Works great! Set up was easy.